Here are some fan edits of the ending of the film, using the longer version of Jerry Goldsmith's score. It gives you a sense of how much was cut from the final version. Here's a fan edit I did showing the original scripted order of scenes. 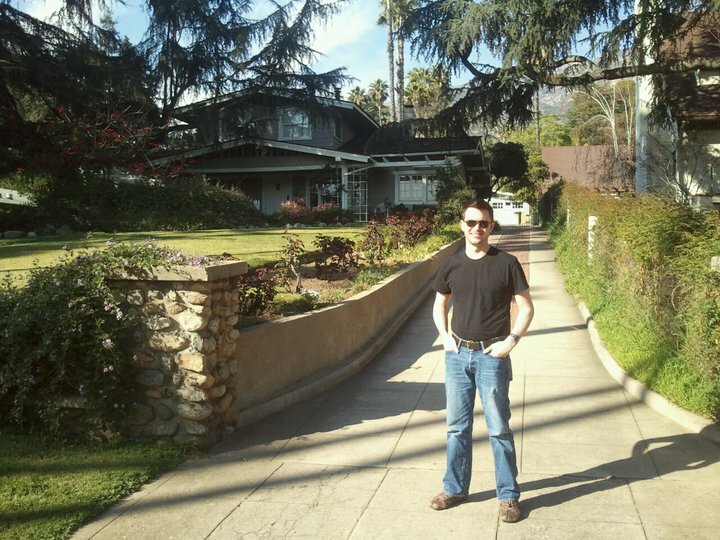 Don't miss this "Poltergeist" related podcast on Sunday, June 30th, hosted by my friend Mat Biller! 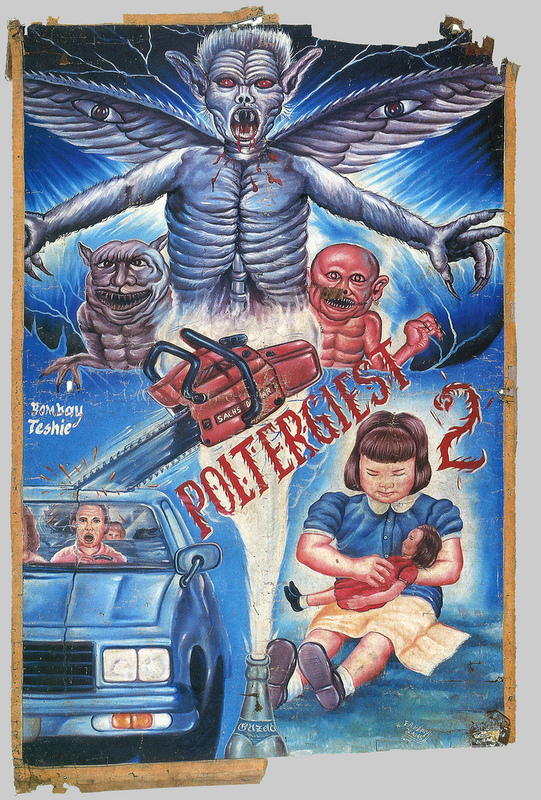 Here's a totally bizarre foreign P2 poster from India. Seems the artist may not have watched the film that closely, or at all! The cause was complications of a heart attack she had two months ago, her agent, Eric Stevens, said. No immediate family members survive....Ms. Rubinstein was also known for her public advocacy of AIDS education and the rights of little people, the term she preferred. Good news re : Zelda Rubinstein. @chrisshowerman paid her a visit today and says she's the best she's been in ages. Doing well she is! A friend tells MovieHole.net, "She's OK. Vitals are good. She's apparently doing better. Internet sources exaggerated the story." Some sad news to report about Zelda Rubinstein. She's been ill for some time now, and was admitted to the hospital about a month ago. Recently, her family decided to remove her from life support after she suffered organ failure. God bless Zelda and her family at this time. 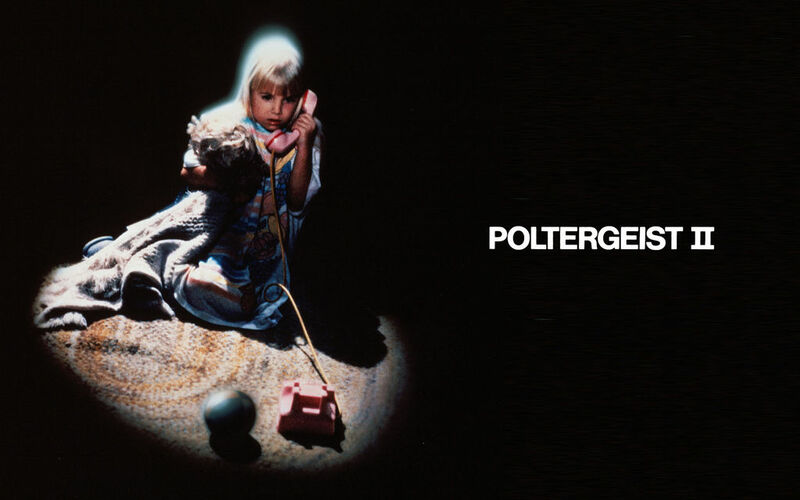 POLTERGEIST II. I was 13 so at least this moment was funny. In an early scene the mom and her mother were sitting together talking,each with a large mug. As they sit and chat,some goof in the audience yells out "Nows a good time for some Campbell's soup!" and as soon as he finished,somebody else let out an insanely loud fart. The whole theater burst into laughter and for the remainder of its running time,random people would start laughing at the earlier incident and the whole theater would get the giggles in a chain reaction. All the members of the wonderful Freeling family who won your hearts before. All the strange forces that terrified the Freelings-and enthralled you. The thrills, the chills, the laughs, the gasps, the excitement and the wonder of one of the greatest movie stories of our time.